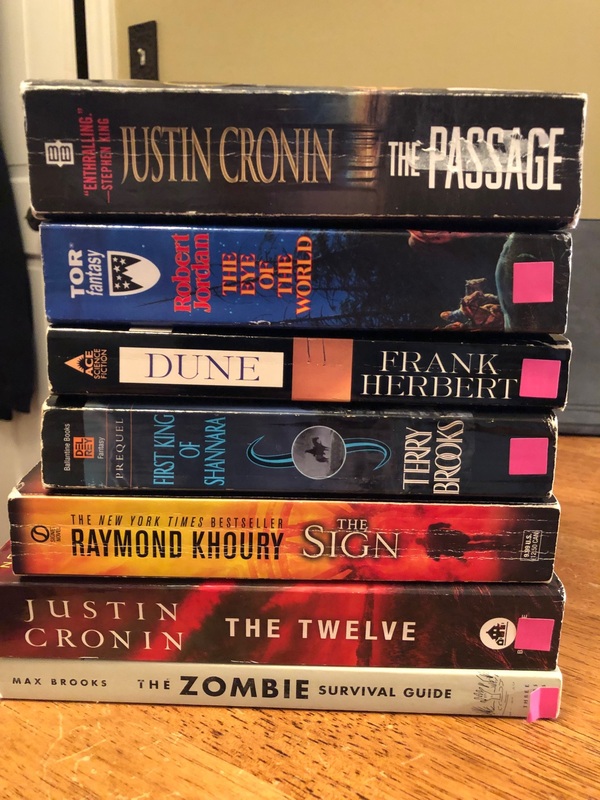 I just discovered that a nearby thrift store I have passed no less than a hundred times in the last five years is actually a cleverly-disguised used book store of awesomeness! Check out the latest additions to my (only slightly bulging) to-be-read pile! I’ve read a couple before, but come on…I can’t pass up $1 books from these peeps! And the terribly vexing thing is that there were many more calling out to me like sad puppies in the pet store. I shall return! But first, I need to work off a little bit of that paper weight (see what I did there?) in the TBR pile.